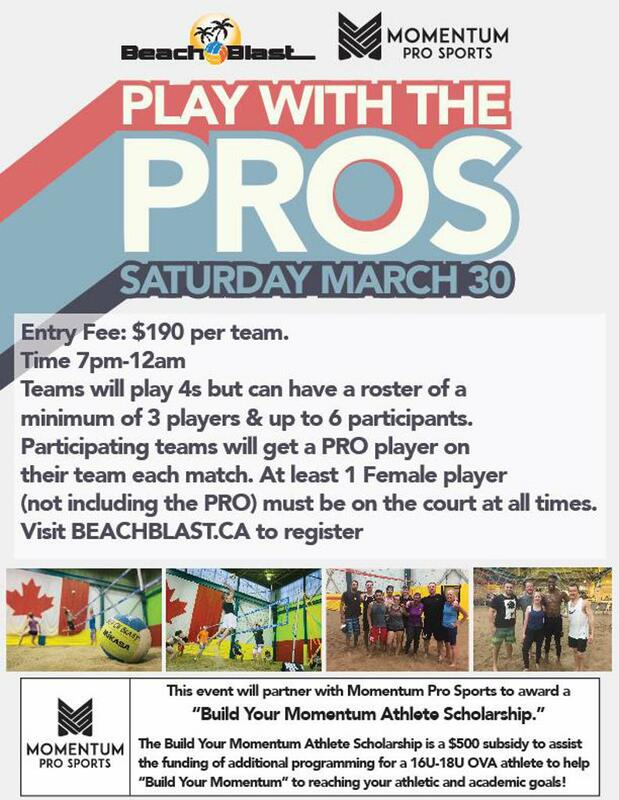 Momentum Pro Sports, in partnership with Beach Blast, is hosting a Play with the Pros tournament on Saturday March 30th. Through this event we are pleased to present our second Build Your Momentum Athlete Scholarship. The volleyball community has so many great people in it. Beach Blast and Momentum Pro Sports Play with the Pros has the goal of connecting the great people in the community with the top Professionals in Ontario. Teams will play, socialize and learn from top players! The Build Your Momentum Athlete Scholarship is a $500 subsidy to assist the funding of additional programming for you, a 16U-18U OVA athlete between grades 10 and 12 living in Ontario, to help “Build Your Momentum” to reaching your athletic and academic goals! Athletes must also include a short 400 word essay, describing your passion and commitment to Build Your Momentum – what goals are you trying to achieve, what dreams and aspirations do you have both in sport and life, and what you hope for club volleyball to lead you to in life! Please also include specifically what program you would like Momentum to help support you in! Registration will close at 11:59pm (EST) on Tuesday, March 26th, 2018. Applications can be sent directly to Momentum Pro Sports at contact@momentumprosports.com, with the subject line “Build Your Momentum Athlete Scholarship - Athlete First+Last Name Visit us at: www.momentumprosports.com. Together let’s get better - Build Your Momentum! 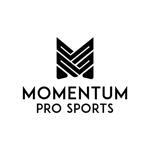 Momentum Pro Sports provides resources to athletes in the volleyball community, through professional training, private coaching & mentorship, athletic testing combines, summer volleyball camps and for those that reach the highest levels, athlete management through their professional careers.